A week after arriving in the Valley, the 2017 Landscape & Livelihood crew is finally getting settled into the rhythm of rural life on the homestead. The students have joyfully embraced the composting toilet lifestyle and effortlessly taken on the responsibility of cooking and cleaning communally. 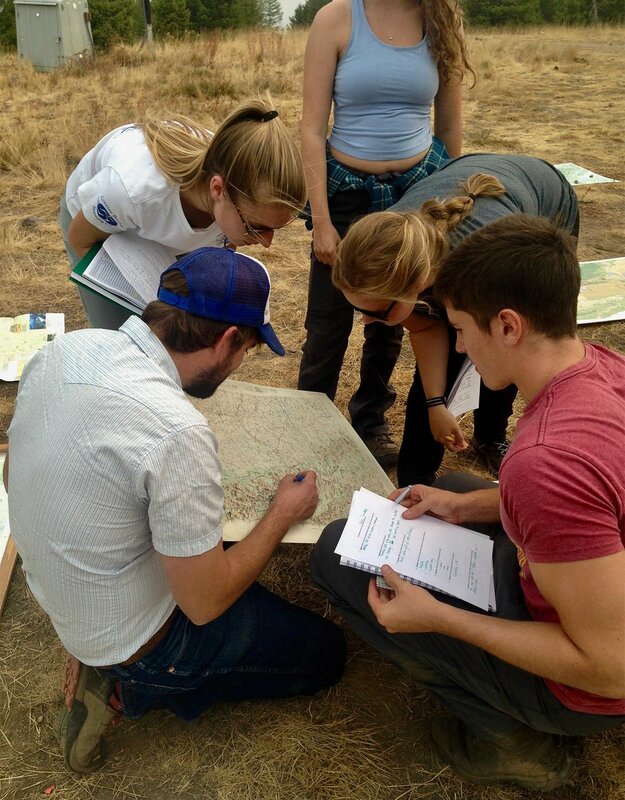 We spent the first three days of Biogeography class in the field learning the fundamentals of natural history and orienteering. Adam introduced the students to the art and science of tracking and taught about effectively utilizing a map and compass. We did a lot of hiking around the valley on these days, giving the students an opportunity to begin to grasp the importance of factors like slope, elevation and aspect on the distribution of flora and fauna in the valley. The beauty of this program is that the students are not only learning information needed to be successful in their courses, but they are living and applying those same skills outside of class - even if it is to make fun of the term “bore-diameter” or collect specimens for a native rose hip tea. Hard at work on their first Biogeography journal entries. Today, for the first time, we donned our waders and began to explore the fascinating science of fluvial geomorphology with Jonathan. Students measured stream widths, stream depths, and stream sinuosity and got the opportunity to poke around in the gravel and discover macro-invertebrates. Tomorrow we will take the lessons one step further and actually get into the river in wetsuits to count fish! Even though fires raging throughout western Montana, those glacially-fed rivers will still have a chilly bite. Smoke in the valley has been heavy all week. Although it was less than ideal for learning how to take a bearing with a compass, it has given us some beautiful blood red moons and opportunity to talk about the reality of living in a place where wildfires are a part of the natural disturbance regime. Hopefully for us (and for the people whose communities are jeopardized by the fire) it will settle down soon as we near our departure date for the Swan Range backpacking trip.